I've been a teacher, mentor, and newcomer helper in Second Life since just a few months after my own rez date. I am or have been a member of several "helper" groups, including the now-disbanded Second Life Mentors, GQ Start, Help People, Caledon Oxbridge University, White Tiger Mentors, and, most recently, Social Island Helpers. 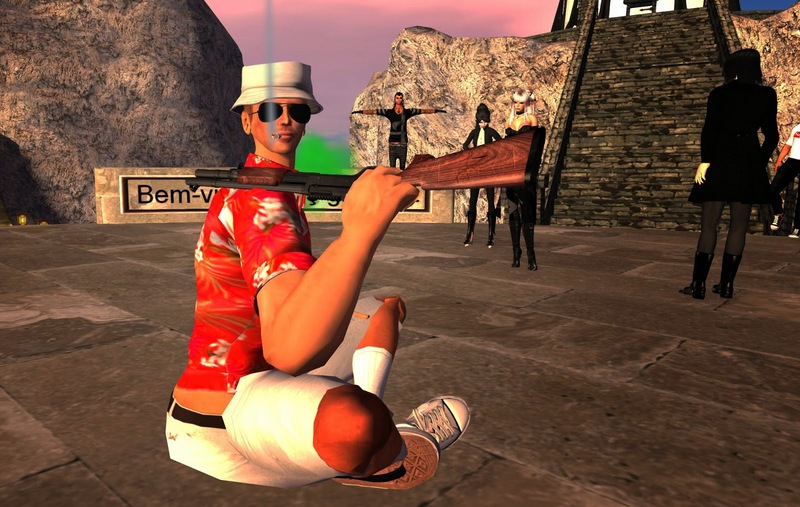 One of the biggest problems of the "new user experience" in Second Life is, dismayingly, Second Life's own residents. It seems that no matter what scheme LL sets up to make those first confusing hours in the virtual world exciting and pleasant, idiots, jerks and griefers do their very best to make that experience as unpleasant as possible for the newcomer. Some helper groups solve the problem by providing live helpers in the learning area. These helpers are empowered to eject and ban troublemakers, or at least to call for help from a senior member of the group who can do so. Caledon Oxbridge University uses this model, and as a result it's a quiet, peaceful, and truly newcomer-friendly place. But the drawback of using live helpers is that the system actually requires qualified, dedicated helpers! Linden Lab's own "new user experience" attempts have not used live helpers since the Mentor program was disbanded, and even when the Mentors were around, they never had the authority to ban troublemakers. LL has tried to keep the troublemakers out of newcomer areas, by making some or all of the New User Experience only accessible to actual newcomers (or, when the Mentors were active, to newcomers and Mentors.) Thus, a newcomer would first log in at an Orientation Island. After exploring that for a while, they would find the exit and be teleported to Help Island. And then, after leaving Help Island, they would find themselves at an Infohub, or as they were misleadingly called, a "Welcome Area." And there they would find a crowd of hecklers, belittlers, griefers, Bloodlines spampires and other riffraff, crowded into the very first place in the new user flow they could get to. So, LL's next idea was to disperse the newcomers as soon as they entered the main grid, instead of funneling them all into one place and thus making that place attractive to troublemakers. This was done in a couple of different ways. The current method works pretty well. The exit area at Social Island is a coliseum with a number of portal doors. Each door leads to a type or category of Destination, but the actual Destination is chosen at random by the door. The problem with this is that most of the newcomers are not yet ready to take on the main grid...they need more learning and possibly a live helper or mentor to answer questions, whether they realize it or not. And now they are scattered all over the main grid. Like the griefers, mentors need to find concentrations of newcomers too! The Lab's latest attempt at a pleasant new user experience goes back to the "two island" format. A new resident first appears on "Exploration Island". This island is only accessible to brand new accounts. When you find the exit, it funnels you to "Social Island". Social Island is an improved version of the old Help Island (see my blog post, A Visit to Social Island.) Two of the Social Island regions have been made accessible to ordinary Residents, as well as the newcomers themselves. I actually had some hopes for this. Mentor and helper groups quickly discovered that these islands were chock full of confused newcomers needing and wanting help, and volunteers soon began showing up to provide that help. A new group, Social Island Helpers, was formed. Believe me, I've seen Uglier! - Gangs. 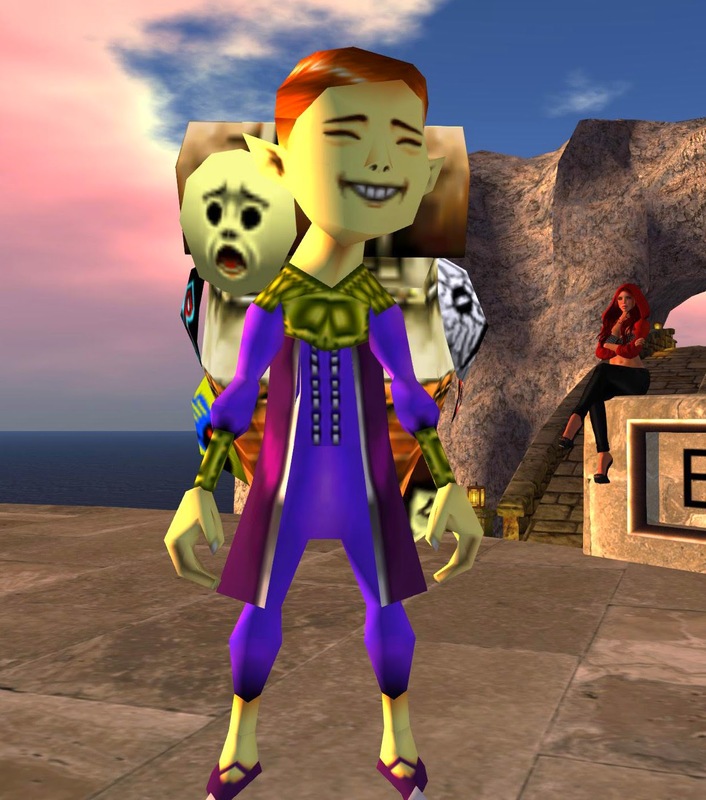 These are groups of three or more avatars who use their superior numbers to heckle or intimidate newbies. Some overlap with the previous group. Weiners! Get Your Weiners Here! Advice to newcomers: If you run into things like this, just ignore them and move on. If they insist on annoying you, right click them and choose Mute/Block from the menu. The first pic is the masks dude from The Legend of Zelda: Majora's Mask. Directly ripped from the N64 game lol. The last one is kinda a classic. LL should make a smaller starting point to learn a bit how to walk and do basic actions in a local sim not connected to the grid. So you are just alone like in some games tutorials at start. Doesnt need to be a whole SIM, just a small room very basic.